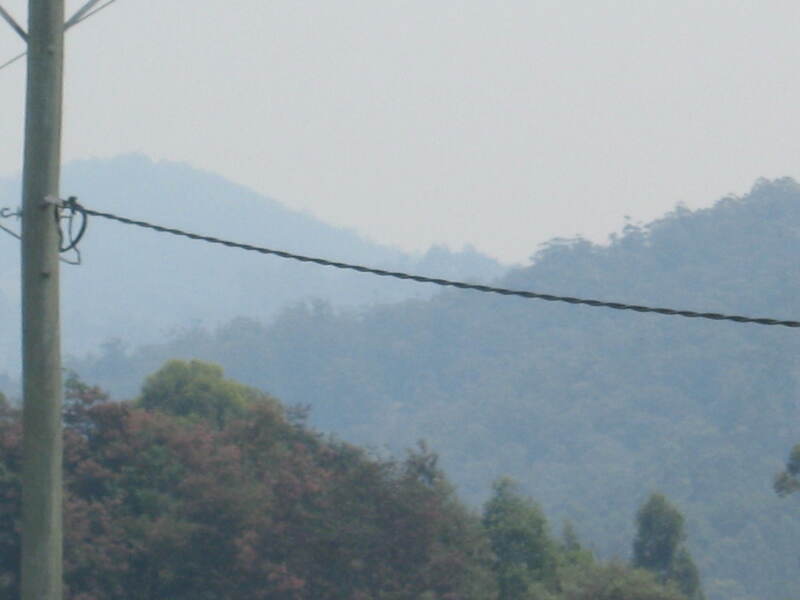 The photos cannot convey the surreal feeling when your home is surrounded on all sides by a smoky haze. 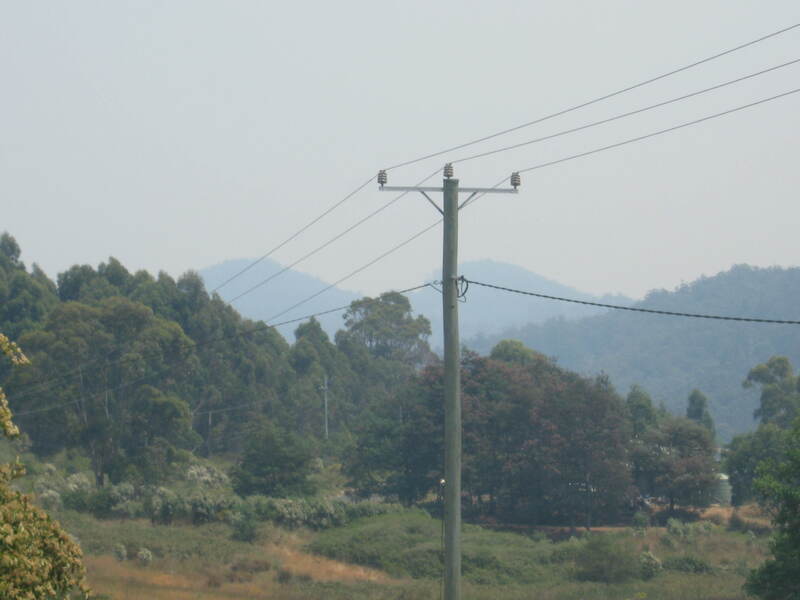 Australia is experiencing a heatwave, and Tasmania currently has over 40 fire related incidents that the Tasmanian Fire Service is dealing with. The TFS Online page has been up on the laptop for nearly the last 48 hours straight. Some Tasmanian communities have been severely damaged by fire, over 100 homes destroyed to date, but at present, as I am aware, no lives have been lost. However it looks like the next 2 to 3 days will continue with challenging weather conditions. Our thoughts and our prayers go out to the families and animals that have been affected by the fires and our intense thanks and gratitude to the members of the Fire Service and other emergency departments that are working tirelessly throughout this troubling time. Whilst we have discussed various fire plans and directions we would relocate to based on the location of a potential fire, the thought of leaving the farm and our animals is not pleasant. I was brushcutting part of our front lawn that was knee high and had gone to seed in places and I was contemplating all that I know about the growth of grass and plants in general. This was the second cut to this patch for the season and it may get cut once more before winter. It was first cut in October or November (with a brushcutter) and then raked up and put down in a pen for our broody mothers and their young chicks to scratch through. If I had cut it with a lawnmower the resulting mulch would consist of many short pieces of grass, these short pieces of grass are not good for chooks and can actually block up their crops and cause what is known as ‘impacted crop’. This can lead to the death of the bird which has happened to a rooster of ours. My aim with most of our lawn (at least for the short term) is minimum maintenance, maximum health (for the lawn) and maximum diversity (for the ecosystem). The long term plan is to gradually plant out the majority of our ‘front lawn’ areas to a food forest style system. However a large part of our grassed areas (around the house yard) are grown as grazing areas for ducks, rabbits and chicks. These areas are rarely cut by me, except around the edges, as we move various mobile structures through with rabbits and chicks inside them and the ducks freely graze these areas as well. My readings, particularly of Joel Salatin’s work, imply that the most nutrition (for the animal grazing this grass) will be gained from an actively growing grass. Which he manages to create by a grazing system using cattle and poultry. In his system, as I understand it, the grass may only ever reach around 6 inches long. It is systematically grazed, by cattle, fed by cow droppings, which are then scratched through by chooks (grass is aerated) and fed again by chook poo. He talks about the ‘candy grass’ that occurs a certain time after the chooks have been through which his cattle absolutely love. Anyway enough about his system, it is great, it works and is a result of his many years of experience and observations and I’ll edit in a link when I get a chance. Back to my meanderings, my observations this morning of my knee high grass were this – whilst I may not have achieved maximum health of the grass, I feel I had come close to maximum diversity. There was heaps of insect life and various broad leafed plants that would not be tolerated in many ‘lawns’. In my mind this ‘grass’ is excellent for my chicks to graze through as it has loads of insects, broad leaf ‘greens’ and a variety of seeds. This would provide a diet high in a variety of protein sources amongst other things. It may not be as good for our rabbits but as they are also fed a seed/grain and lucerne supplement then the grass is not meant to provide all of their nutrition. As I was brushcutting I kept trying to create a rotational system with rabbits and chicks similar to Salatin’s but what he has, is 2 animals that are miles apart in digestive systems and diseases. Rabbits and chickens are both susceptible to a disease called coccidiosis and for this reason alone I need to be very careful about any mixed grazing I do. This is not meant to be a completed treatise or anything, I’m just getting my thoughts out there, rambling to myself in a fashion. So far I haven’t mentioned what’s happening underground, and I am basing all of my thoughts on the theory that the size of the root system mirrors the size of the plant above ground. So, in Salatin’s system – As the vigorous healthy grass grows out to 6 inches or so, so do the roots, seeking out water and nutrients, along comes a cow and eats it back to, say, 3 inches. Some of the root system dies off, stimulating decomposition and the microorganisms that accompany or follow this process. The chooks have come in, scratched through the cow manure, thus aerating the top 1-2 inches of soil, and fertilized it as well. Then the ground is irrigated, allowing all of the goodness in both manures to penetrate deep into the soil, in particular the top 5-10 inches and stimulating the biomass within this space even more. The roots of our grass then grows into this space, and potentially beyond, and the result could well be this ‘candy’ grass that Salatin talks about…maybe.